1. Six weeks before I retired from the military service, I visited the exact place where former President Ramon Magsaysay’s plane crashed on the early morning of March 17, 1957. If you don’t know your history, you can search “Mt Manunggal” in my blog and read my story about this visit to the said place. 2. 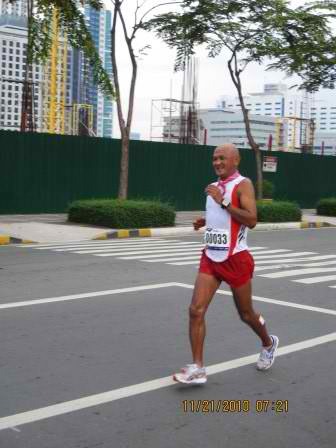 Being the Bald Runner after retirement from the service, I had plans of visiting again to this place and thought of coming up with road/trail race to commemorate the death of our former President Magsaysay as I wanted my runs to be connected with the history of our country. In one of our conversations with my friend Jonel Mendoza, he asked me a place where a good ultra run route in Cebu which can be used in the future and I answered him that Mt Manunggal Crash Site would be highly recommended because of its significance in our history. And the rest is history. 3. Since I don’t announce in my blog where my next race is, the Race Organizers were surprised to see me in Cebu/Ayala Center on the night before the race. 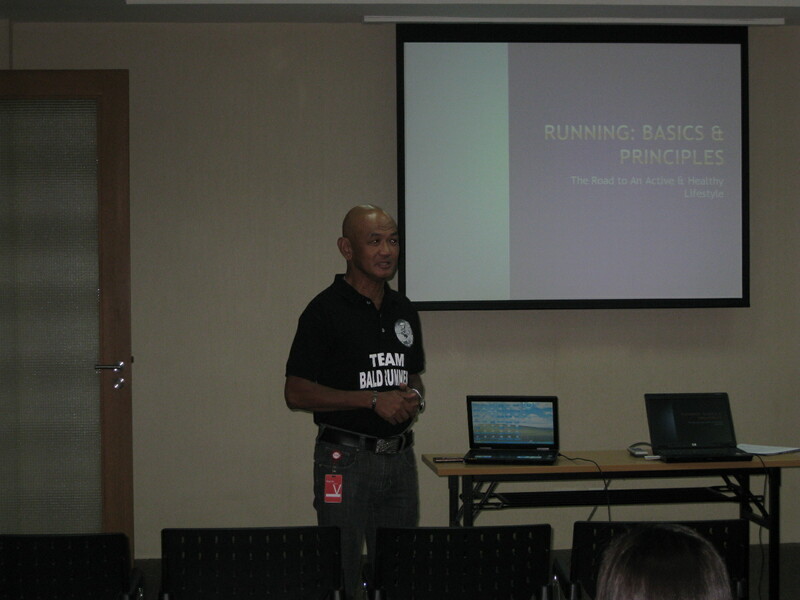 I was given the opportunity by Jonel aka FrontRunner Magazine to speak before the runners on their magazine’s running clinic. 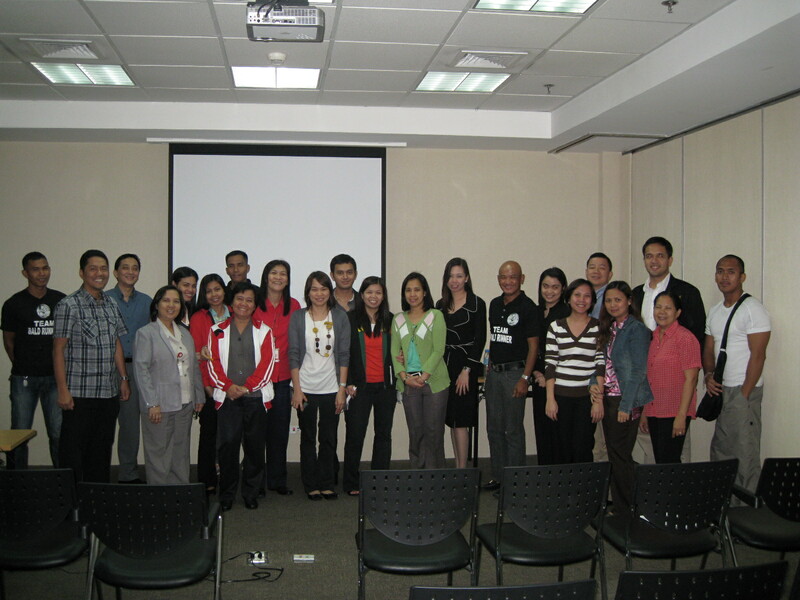 It was a nice experience seeing a lot of runners from Cebu City during the said clinic. 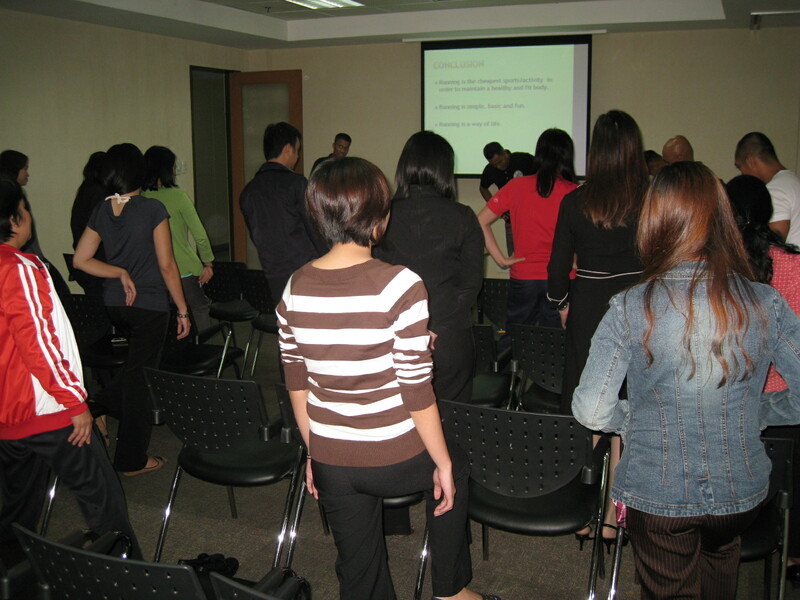 It really shows that the running community in cities outside Metro Manila is growing in numbers by “leaps and bounds”. 4. Most of the runners in the 1st Cebu Ultramarathon Race were already at the assembly area at 4:00 AM as most of them “camped” in the area. I could see different moods on the faces of the runners which is very common among runners who are about to experience their first ultramarathon run. 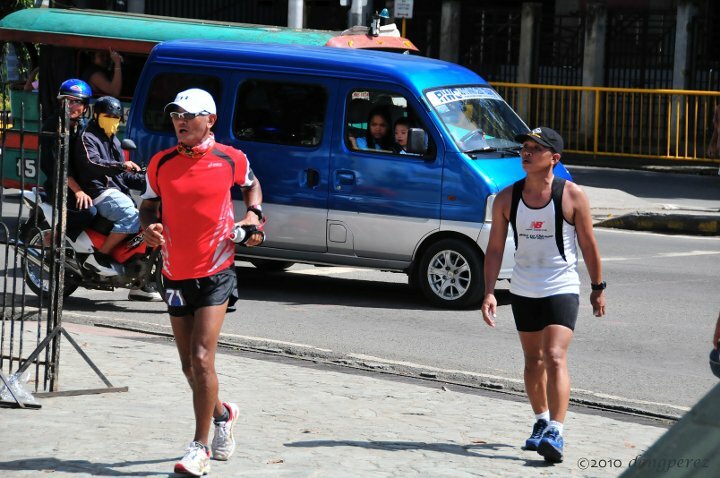 I was able to see some of the “usual suspects” in ultra runs in Luzon and I had a brief chat with them. I know, most of them came here to challenge the route. 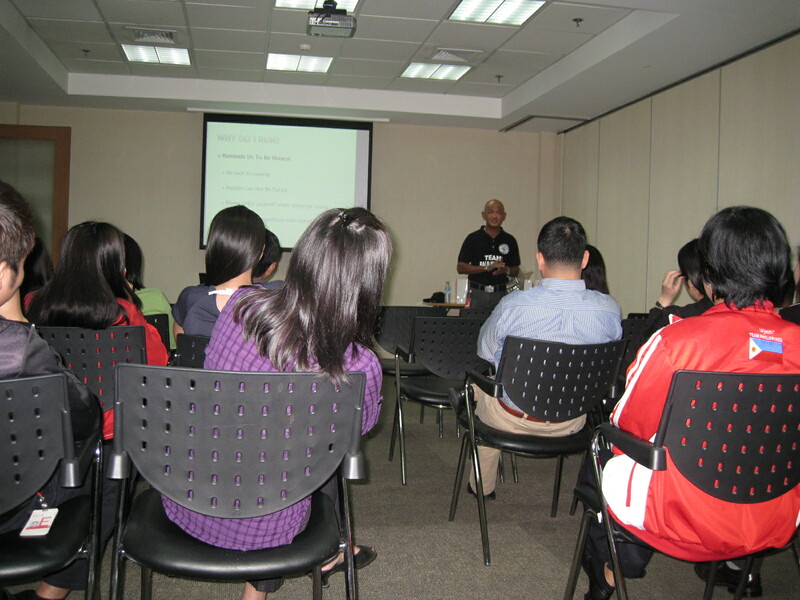 However, I came here to test and evaluate my training. 5. After a short program and photo-ops at the “bust monument” of President Magsaysay, the race started at 5:52 AM with 180+ starters. The faster and “excited” runners went ahead from the rest of the group as they forced themselves to attack the uphill climbs and downhill parts of the route that goes to the National Highway. I think I was on the last half of the whole group of starters on the first 3 kilometers of the run. 6. In a very challenging route which has steep uphills and fast downhills, the race strategy in an ultra run (50K and above) is to be able to apply “brisk walking” on the uphills, fast recovery run on the downhills, and steady run on the plain parts of the route. So, in most parts of the route, I consistently applied this strategy making sure that I hydrate myself regularly (every 2-3K) and eat solid foods every 5 -7 kilometers. My solid foods consisted of Nature Valley Sports Bar, fresh banana, fresh apple, Cloud 9 Chocolate Bites, and boiled sweet corn (bought along the way). I think most of the runners that I passed on the uphills were able to see me with my “brisk walking” form! I am highly recommending that “form” as I learned it from my experience at the Marin Headlands 50-Mile Trail Run. Looking Good or Feeling The Pain & Suffering? 7. The last 20K of the race was a “battle of will and determination” as the heat of the sun was upon us and I’ve been running and brisk walking for almost 4 hours. The more that I have to bring out those “tips” and lessons learned that I gathered in my past ultraruns. At this point, everything was a “mind game” and consistency of doing what I planned for during my training was the focus in this race. I did not veered away from my race strategy most especially on my hydration/nutrition. On my last 15K, I started to take “salt tablets” and drowned them in my throat with ice cold Mountain Dew or Classic Coke. This gave me more strength and consistency with my pacing in my runs and brisk walking! 8. I finally reached the Finish Line, in front of the Cebu Provincial Capitol Building, with a time of 6:42:20 hours (Official Time). I finished with a ranking of #38 out of the 162 finishers. Based from my GF 305 data, the total distance is 50.23K; an average pace was 8:00 minutes per kilometer; a total ascent of 1,860 meters and a total descent of 2,695 meters. 9. 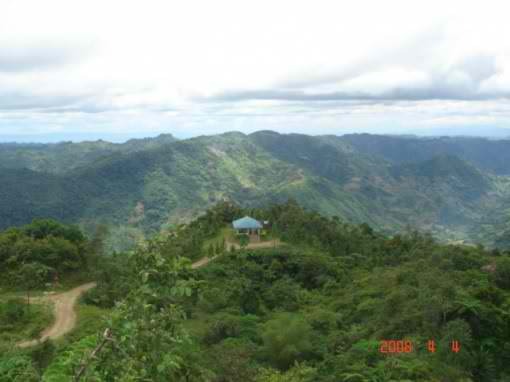 I consider this race as a mountain trail run because of the profile/elevation of the whole course. I am satisfied with the result of my training since I finished the 1st CAMSUR Marathon wherein I started to incorporate more intensity to my training runs and making my selected weekend races as my performance evaluation/test runs. In conclusion, I was able to attain what I have aimed for in this ultra run. 11. Thanks, Jonel, FrontRunner Magazine, CERC & Cebu Runners, Volunteers, and the CENTCOM, AFP Officers & Staff for the experience and hospitality. Congratulations to all the Finishers and Race Organizers for a job well done! 1. This is my first official 32K Run. I treated this run as my Evaluation Run after trying to put more intensity to my training runs since after a slow finish at the 1st CAMSUR Marathon. The plan was to run an average pace of not slower than 5:30 mins per kilometer for the whole race. With this plan in mind, I should be able to finish the race in exactly 3 hours with some cushion of 4 minutes for the uphills and slower pace in approaching the Aid/Water Stations. 2. 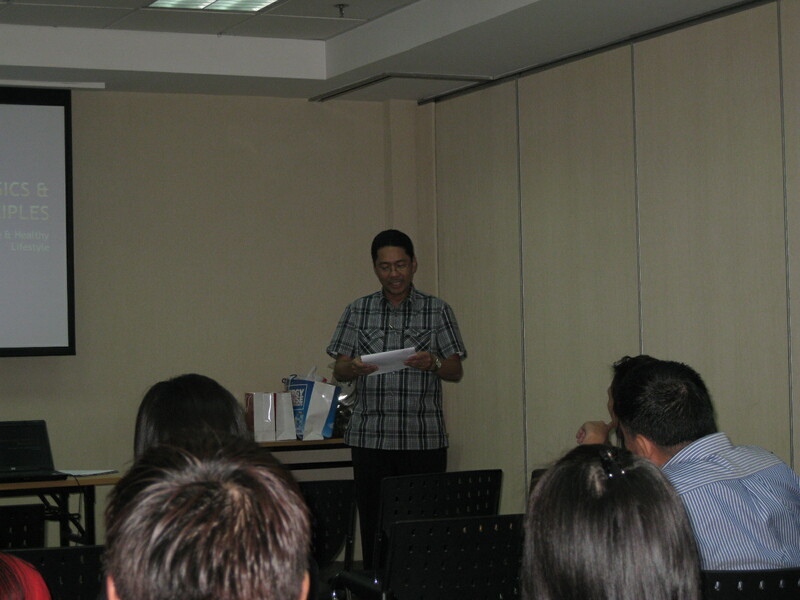 I memorized the target split times for my 10K and half-marathon which I would like to attain during the course of race. I should be able reach the Km #10 mark in 55:56 minutes and then 1:57:59 hours at the half-marathon point (Km #21). I started at a slow pace at 5:45 to 5:49 mins per km on the first 2 kilometers until I was able to pass the Km #3 mark. From there I slowly increased my pace up to 5:35 mpk. I was happy to glance at my watch as I crossed the Km #10 mark in 56 minutes—4 seconds slower from the target split time! 3. Running from Km #10 up to Km #21 was so insignificant that I was not focused to what I’ve been passing along the way. This is the tendency if you are running on a familiar ground for the past 3 years where you are only concerned on your time and on your running form. Translation: Running at the Fort-Kalayaan-Lawton-Bayani is already boring!!! I reached the half-marathon point at 1:56:18 hours and I was almost 2 minutes faster than my target split time for the said distance. From this point, I knew already that I could finish the race better than what I have planned for. 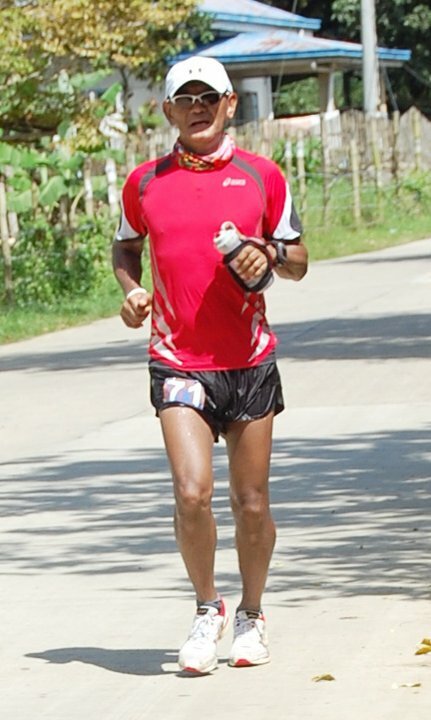 I just have to maintain an average pace of 5:30 mpk for the remaining 11 kilometers to have a sub-3-hour finish. 4. From Km 21 point onwards, my watch was registering an average pace of 5:20-5:23 mpk and I felt I was still strong. However, I had to make a 10-second “brisk” walk as I approached the Water Station on my last 2 kilometers before the Finish Line due to an impending “cramps” on my left calf muscle. I was a good decision as the pain slowly disappeared when I started to walk. I regained my running form as I continued my run but I knew I had slowed down a little as I tried to manage the coming of my leg “cramps”. I had to drink lots of sports drinks as I passed on the last few Water Stations. 5. Finally, I was able to cross the Finish Line in 2:53:38 hours (based from my GF 305) and was able to register an average pace of 5:25 minutes per kilometer! Mission accomplished! I was satisfied with my performance and I’ve started to bring back my speed in my road races after following the Jack Daniel’s Running Formula. My MILO’s Half-Marathon performance last November 7 with a time of 1:47:45 hours (average pace of 5:07 mpk) would also attest that I am on the right training. 6. My fast time was due to the great improvements of Coach Rio’s Race Management in decongesting of runners in narrow parts of the route; efficient marshals & good traffic management; long tables and lots of water cups; bananas; and sports drinks for the runners. Familiarity of the route is also a big factor for a faster time. Above all, the early start of the race, cooler temperature, and the overcast sky contributed much on my better performance in this race. Congrats, Coach Rio for a perfect race! I really don’t know if you have seen the Billboard wishing our National Athletes to the on-going ASIAN Games displayed along the NLEX Viaduct (south bound). It has a banner that states, “Quest For Glory”. How I wish that the said Billboard could have been displayed along EDSA. At present, we have garnered two (2) gold medals for Billiards and Bowling. With Athletics Events to start tomorrow, I hope our team Philippines would be able to add more gold medals on the track and field events. Runners are allowed to have their support vehicle & crew but they are not allowed to have pacers. (Note: Pacers should be registered runners). Support Vehicle should “leap-frog” from their runner/s and “shadowing” the runner is strictly not allowed. There is no prescribed number of runners to be supported for each support vehicle. Runners’ Bib should be pinned and displayed in front of the runner’s apparel. Runners are highly encouraged to bring and wear with them their respective hydration system/belt during the race. We have a limited number of water stations/aid stations along the route. Cut-off time is eight (8) hours. Runners are encouraged to stay on the left side of the road, facing the incoming traffic. Some parts of the route are narrow and runners should always be attentive and vigilant of vehicles, in front and at their back. Runners are also encouraged to run in single file as the road will be busy with the traffic of vehicles. Ipods, MP3s, and “wires” are allowed. However, users should be attentive with their surroundings. As in the past PAU races, every finisher will receive individual memento/trophy, certificate of finish, and Finisher’s T-Shirt. 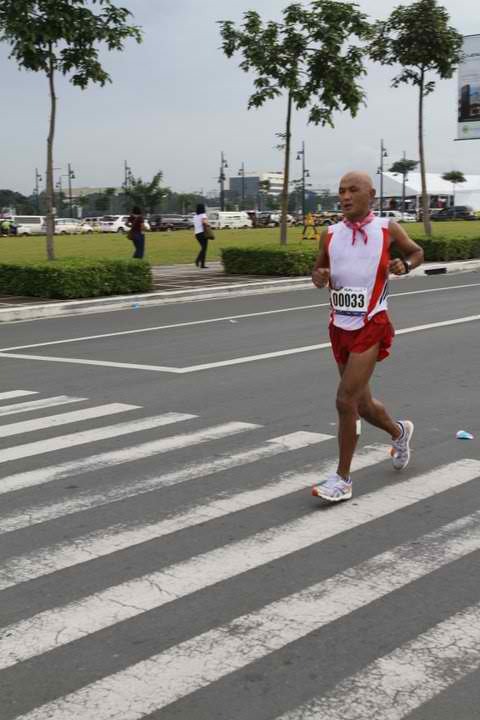 Results of this race will be included in the rating/ranking among PAU runners for 2010. Integrity of the Race shall be upheld and respected. The spirit of ultra running is highly encouraged. Finish the race, encourage/help one another, develop friendship before, during & after the race, and have an ULTRA FUN!